The Korean Grand Prix is losing $27 million annually. Can it survive? South Korea has played host to Formula One’s Korean Grand Prix for three years now, but has yet to fully embrace the sport and the sport has yet to embrace the host. Sunday’s race was won by Sebastian Vettel. The world champion finally leapt above Fernando Alonso at the top of the standings with four races left in the season. There is still a lot of racing to be done as the action now moves to India. There were rumors swirling that the Korean Grand Prix would be dropped from the 2013 calendar. The organizers are reported to be losing $27 million a year, a tab picked up by local taxpayers, but it has been confirmed that the race will take place. Organizers in the far south-west of the southern half of the Korean Peninsula are still struggling to sell tickets. What they have to do before they can fill the grandstands is to try to build a motor sport culture in a country that does not yet have such a thing. The sport had virtually no profile at all in the country before South Jeolla Province and a private company agreed to bring the sport to the region. South Jeolla Province, the most rural and underdeveloped in the country, saw the race as an investment and was eager for national and international attention. It has the latter but not all of it has been positive. Overseas media outlets have not been completely enthusiastic about having to make the trek down from the capital Seoul. Drivers have talked of the lack of fans. "Suzuka (in Japan) is one of the best circuits for the crowd and atmosphere. 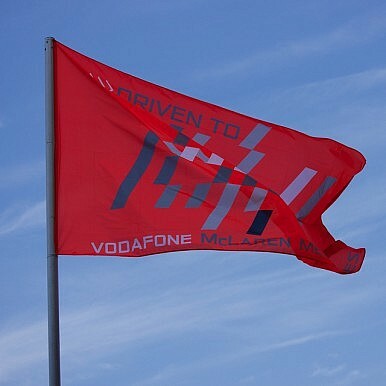 Here in front of the pits and paddock, the grandstand is not that busy," McLaren driver Jenson Button said. “…For sure it's not one of the busiest grands prix and in terms of atmosphere it's not the same." Location does seem be a major problem. Having the race in Seoul, the greater metropolitan area of the city is home to almost half of the nation’s 50 million residents, would make more commercial sense. "This facility is good, the track is good and interesting in many ways but Formula One has to work harder if we are going to get people to drive four or five hours out of Seoul to come and see it," said McLaren principal Martin Whitmarsh. "This doesn't have a natural catchment area of fans so you've got to make a fairly compelling case if people are really going to come…The position of this circuit does not make it easy." Tony Fernandes –the owner of Air Asia and the Caterham racing team – agrees. The promoter of the race, Park Won-ha acknowledges that there are problems but said that the Grand Prix was wonderful and plans were being put in place for the future. "Seoul is a centre of activity,” he admitted. "But Korea needed to highlight this rural and industrial area. We live in peace here with clean air, no pollution and a good environment. "But we are trying to boost the area and build its image at the same time. This is the idea of the government behind the race." "Here in Mokpo the project is beautiful with the lake and team building and huge paddock club lounge with a permanent team building. Our biggest concern is how to maintain the use all year round. This is a wonderful F1 project," Park went on to say. There are plans to build a casino, hotels and other facilities as well as a motor sport hub to lay the foundations for future success. Fernandes also recommends a drive to start producing local talent. Fernandes pointed to the example of Malaysia which became a host in 1999 and now has its own team. “Koreans are very nationalistic. But there is nothing here to support it,” Fernandes added.